You can comment and give us suggestions below. We do laundry the right way. Come see for yourself. Come and enjoy our free WiFi that we offer to all our customers. We also have Comcast Xfinity available to all Xfinity subscribers. 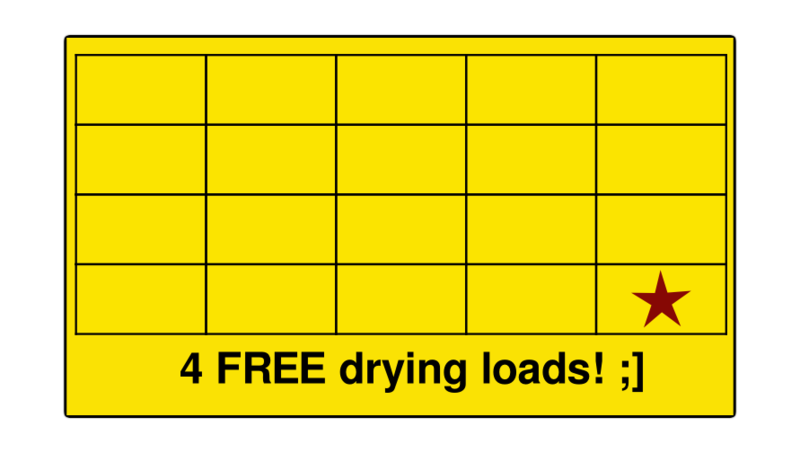 Enjoy 4 free drying loads when you get 20 stamps using our discount punch card. Every Tuesday we cut the price of our double load washers from $2.00 to $1.50. We opened in 2015 with a belief in giving our customers a fast, reliable, convenient laundry service. Since our opening, we have opened up to 4 locations in Alabama & Mississippi. We care about you and your clothes. We know the investment you put into your clothes and the sentimental value they carry. We also know what it means for you to look your best in your clothes. Our Self Service coin washing and drying machines are available to our customers 24 hours a day 7 days a week. 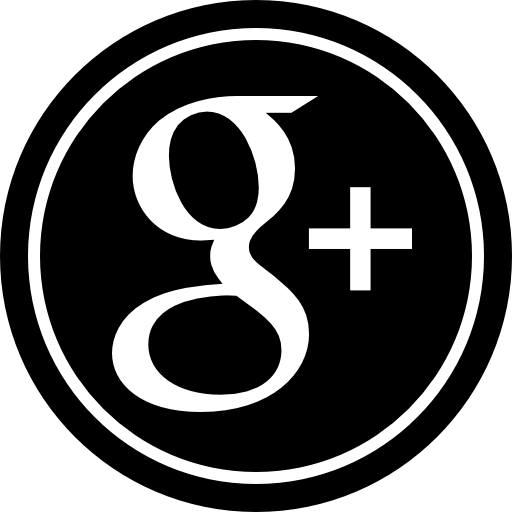 We use some of the latest technologies to clean your clothes. We're always ahead of the rest when it comes to technology. Currently, we're using the world’s fastest speed washer extractor, the Primus that runs at 1000rpm. We combine this with the oldest dry manufacturer, Huebsch to cut the drying time down by over 45%. 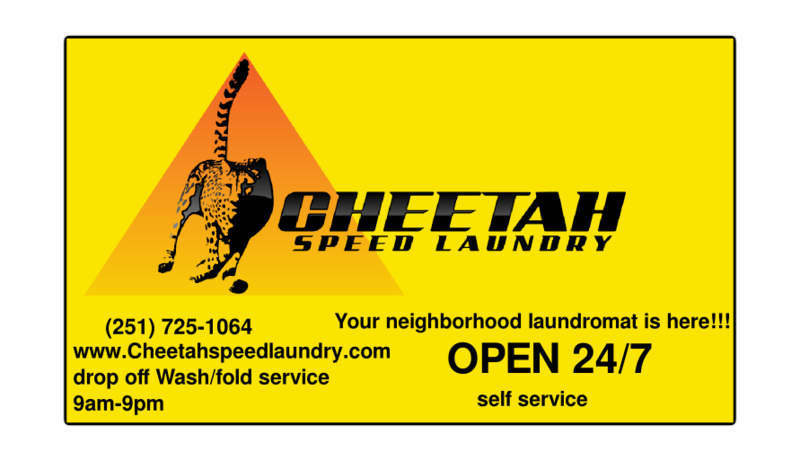 This simply means you get your clothes cleaned faster, better, and in a more reliable manner. We are caring and treat every garment that comes into our laundromats as if they're our own.